The U.S.A is chock full of places to get your adventure fix. With everything from deserts and mountains to lush forests and endless water exploration, our vastly diverse country has more than you could experience in a lifetime. Whether you’re looking for an adventure weekend, all-inclusive vacation or a trip sprinkled with romance; there’s no limit to the adventures you could plan. Read on for 6 destination ideas to jumpstart your adventure dreams as a couple. 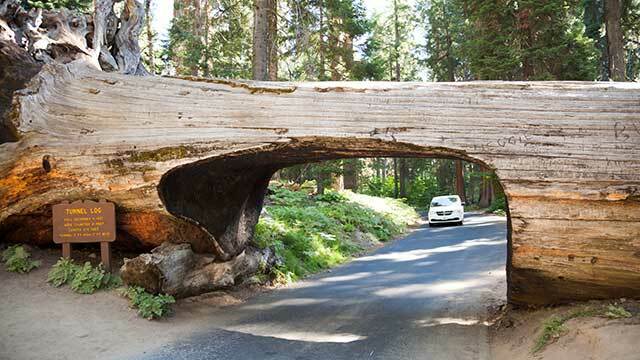 For an adventurous road trip, couples can take in all the breathtaking vistas of the Pacific, breathe in the majesty of giant redwoods, and taste your way along the vineyards of California State Route 1. Stay in quaint bed and breakfasts or boutique hotels all along the winding 655.8 glorious miles. 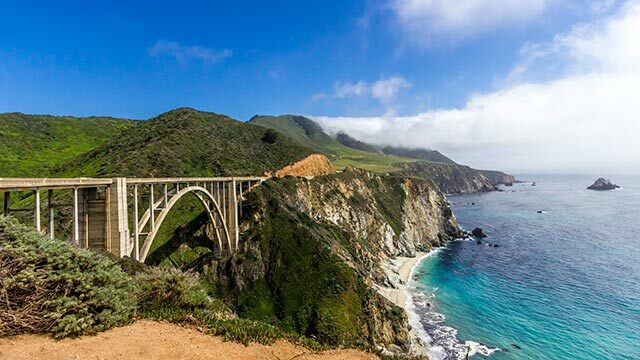 Ranking consistently high on the U.S. News & World Report travel rankings list, visit Big Sur and find out why it draws millions of visitors each year. With every turn, you have the opportunity to explore mountains, beaches, rivers, valleys, creeks, coves, wildflowers and wildlife. If you’re looking for a mix of romance and adventure, Triple Creek Ranch may be the perfect match. An all-inclusive ranch resort experience, Triple Creek is an “oasis of luxury” in the Montana Wilderness. Designed for adults, this luxury ranch sits among towering pines on the south side of Trapper Peak. Deluxe private guest cabins ranging from one to three bedrooms, a beautiful main lodge with an award-winning wine cellar and world-class restaurant await you. There are adventures galore to choose from during your stay. The all-inclusive activities range from hiking and skiing to fly-fishing and horseback riding. 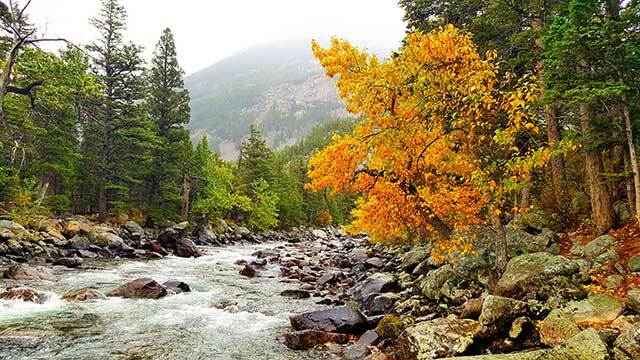 Western Adventure options include experiences like dog sledding, snowmobiling, cattle drives, white water rafting, exploring some of the 26,000 acres of natural beauty in an ATV or going on a Lewis & Clark Adventure. 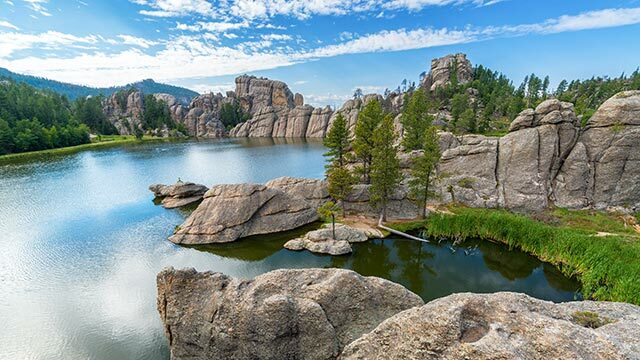 With so much to explore, you’ll wish you had more time in South Dakota. Badlands National Park has a starkly beautiful landscape with multi-colored eroded buttes and dry canyons. Fossil finds there include the remains of marine animals deposited 70 million years ago when the region was an inland sea. Seek out the beauty and endless adventure opportunities of the Black Hills. The famous Mount Rushmore and the Crazy Horse Memorial are historical treasures, and nearby Harney Peak boasts the highest U.S. point east of the Rocky Mountains. Hike for spectacular vistas of the 7,242-foot summit where you can see four states. Board the vintage steam 1880 Train in nearby Hill City. Drive the Needles Highway featuring spectacular views and unique rock formations. Custer State Park boasts 71,000 acres to explore and is home to a herd of 1,300 bison, pronghorn antelope, mountain goats, bighorn sheep, deer, elk and mountain lions. Wind Cave National Park and Jewel Cave National Monument offer discovery galore. Wind Cave Hot Springs is also home to the Mammoth Site, an archaeological treasure trove where dozens of mammoths were trapped and died in a spring-fed pond more than 26,000 years ago. 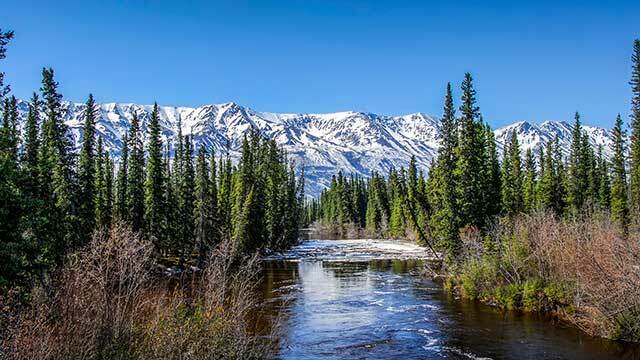 With all the vastness that is Alaska, take in 6 days of adventure at America’s largest national park – Wrangell-St. Elias. With this off-the-beaten-path tour, you’ll experience a combination of hiking, biking, rafting, cruising and whale watching. You’ll learn about the area’s history and explore the sapphire-blue pools of Root Glacier. Quaint, comfortable cabins at the base of the mountains will keep you cozy after a full day of adventure. With nearly 60 locations to choose from, adventure discoveries abound in our U.S. National Parks. From the breathtaking views of Yosemite and Yellowstone, to the wonder of the Smoky Mountains, Grand Canyon and Sequoia National Parks; it would take a lifetime to see it all. Even lesser known parks like Florida’s Biscayne National Park offers 173,000 acres of Caribbean-clear waters and the world’s third largest coral reef for some of the best snorkeling and scuba diving in the country. If you want the planning done for you, consider taking an exciting trip with REI Adventures. They build in all the adventurous fun while you focus on having the time of your life. From a cozy weekend getaway to a full-on 2-week vacation, you’ll find every kind of adventure you could think of in our National Park System. The beautiful landscape alone is stunning, but adventure and romance also await you on Kauai. Enjoy gorgeous tropical beaches, a 22-mile round trip Kalalau hike or a Koloa Zipline adrenaline hit. Ocean fun like surfing, snorkeling, scuba diving and kayaking abound. 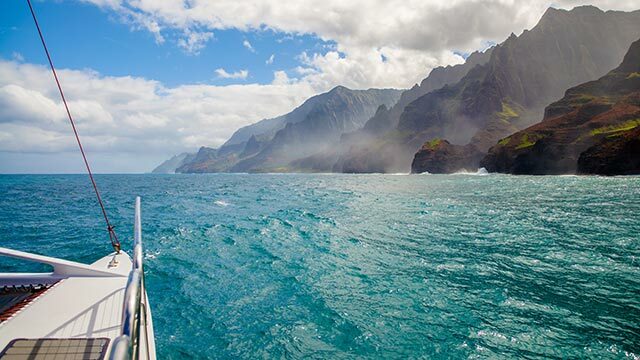 Whether whale watching or swimming with dolphins, adventure trip options are endless on the Hawaiian Islands. 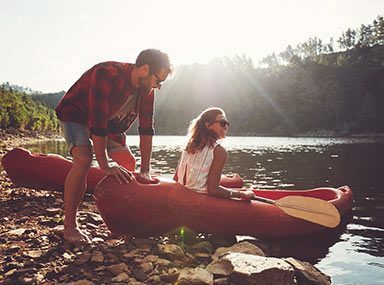 These are just the tip of the iceberg when it comes to finding U.S. adventure trips for couples. Whether you design your own or go with a specialized adventure travel company, there’s no doubt you will come home with an awesome story to tell. So dream, explore, travel on – as a couple!